If you’re thinking of having some aesthetic work done to lift, plump or tighten, make sure you’re choosing the right option for you. We don’t judge people here, so if you want to look younger, fresher, smoother or plumper, it’s none of our damn business. Do what makes you happy. But what we do like to advocate is making the best choices, and staying healthy. As we pass our 40s and 50s, skin changes dramatically and you might fancy a bit of a lift. If you choose unsuitable treatments it’s possible to end up with disasters like ‘pillow face’ or that lovely wind tunnel look that a tight face lift can give. Nobody wants these, but they are avoidable if you go into this stuff properly. Mostly it’s important to find the treatment that’s right for your own face or body. What worked for your chum – even if you’re the same age – is not going to necessarily be the right thing for you. Lifting, filling, tucking, nipping – make sure you speak to the right person, and book the right thing for you. Anyway, we thought we’d put some questions to her on your behalf, so if you’re thinking about having some work done, at least you’re off to a running start. What is the best age to start thinking about having work done – particularly if you’re 50+? The best age to start having work done is when wrinkles start to appear really, as once they set in fully it becomes harder to reverse. As with all things physical, this is very individual and can even be as young as 25 for some people. So be sensible about your skin – I see younger women sometimes but I don’t do treatments unless I’m sure that the client has a healthy attitude towards their appearance. What happens if you go ‘au naturel’ until you’re older and then want to look younger? This is something we deal with a lot; men and women who have left it for years and years and then come in to see us and kind of expect miracles. If you leave it, it is harder to get good results and turn back the clock, and you may not even be suitable for injectable treatments due to severity or depth of lines, volume loss and skin laxity. But there are things we can do, it’s not hopeless of course! I just want people to be prepared for the fact that we can’t just make you look 21 again. If you’re not sure, it’s best to book an appointment and a consultation before leaping into anything. What do you think offers the best results as an ‘all over’ rejuvenating combination? Best option for older faces is a combination really. So I’d suggest of skin boosters, some fillers, and anti-wrinkle toxins (Botox), but also radio frequency skin tightening and IPL (hair removal) although maybe a facelift is a good option. It’s very dependent on the client. So – facelifts. They still sound scary to us. Is a facelift still a good option or are non-surgical solutions leading the field now? Facelifts are increasingly – in my opinion – a very good option. These days they are now very natural looking and with a good surgeon you wouldn’t know someone has had it done. You should do your research have consultations with surgeons, and see a few. Like anything, look at a few and make your choice. Ask to see examples of previous work and go on recommendations. Please, please steer clear of cheap options – this is your face and if it goes wrong, well… how awful would that be? And be very careful of overseas options. They’re not necessarily a bad idea but they probably require further research and may not be regulated so closely. Here in the UK, ask your GP for a recommendation and ensure your surgeon is registered with the General Medical Council. The Care Quality Commission also has some advice HERE. Are there alternatives to actual facelifts? 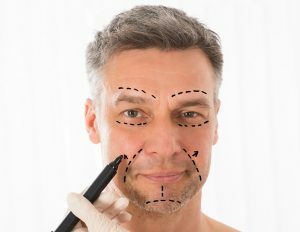 We’ve been using a really effective injectable technique called bioremodeling which is tailored to every client. We use something called Profhilo for this; it’s not a filler, so you don’t get that puffy look, but it’s a hyaluronic acid product that really makes a difference to laxity. We’re seeing some really lovely results with this, all over the face without surgical intervention. What’s your advice for different age groups? I think more than anything I would ask people to come with an open mind. It’s difficult to put an age limit on treatment for different ages, as someone at 70 may have better skin and looked after themselves more than someone who is 50. I have a three 80 year old clients. A few in their 70s, a few more 60s but lots of 50 year olds. So what I suggest for each person is different – sorry if that’s vague! 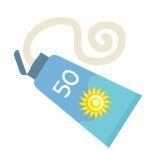 Yes – look after your skin! I always recommend using SPF50 sun cream, a sun hat and glasses when outside as the sun is an absolute beast for skin damage. Smoking also is really bad for skin, and if you can drink alcohol in moderation and eat a good healthy low sugar diet that will all help too. It’s not rocket science – look after yourself and your skin will be healthier too. Teresa Kis is an independent nurse prescriber and has worked in the aesthetic profession since 2003. 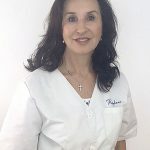 Teresa is a member of the BACN (British Association of Cosmetic Nurses) and the RCN (Royal College of Nurses) and also works as a senior nurse trainer for a leading pharmaceutical company, training other doctors, dentists and nurses in basic and advanced dermal filler techniques.